At the law firm of Sack Rosendin, LLP, in Oakland, California, we provide a full range of legal services to help you with virtually any legal challenge affecting your business. As a small, boutique law firm, we offer the same level of sophisticated counsel and support found at larger practices, but our small size means that we can devote more of our attention to you and the legal issues affecting your company. Keeping our overhead low enables us to deliver the quality solutions you seek quickly and efficiently, thereby saving you time, money and stress, and we have received many positive reviews and referrals from our clients satisfied with the creative, innovative strategies we provide. The bottom line is that we are here to help your business succeed, and we promise to support you throughout all legal proceedings to ensure we have done all we can to help you achieve your goals. 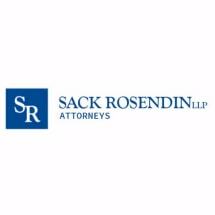 For more information on how Sack Rosendin, LLP, can best serve the needs of your business, you can contact our law office or visit our website to schedule a free initial consultation.